$38 – $58 ~ This roast is stuffed with cranberries. fresh cilantro, and Monterey Jack cheese, then baked in a delicious fruit sauce. 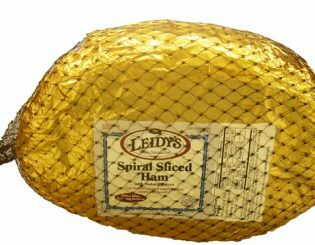 $38-$48 ~ Leidy’s hams are produced with hand- selected cuts of meat, naturally smoked to ensure rich flavor and tenderness. Honey glaze makes the perfect accompaniment. 9lb pound average. 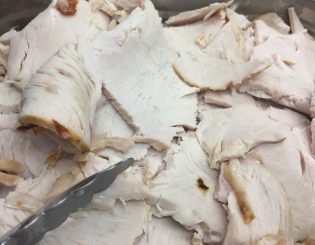 $55 – $65 ~ Tender boneless, all white meat turkey breast bakes in a foil cooking bag with simple directions for the easiest and juiciest turkey breast you’ve ever served! $162.00 – Holiday dinner all but the turkey for 10-12 people. 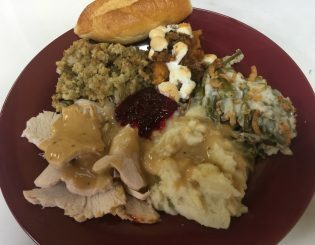 $85.00 – Holiday dinner all but the turkey for 4-6 people. 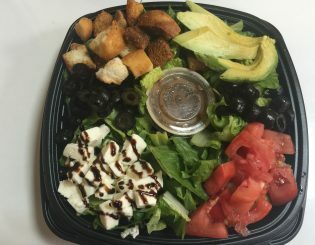 $8.50- Romaine, fresh mozzarella with balsamic glaze, basil, tomatoes, avocado, black olives & croutons. Suggested dressing: Balsamic vinaigrette or creamy pesto. 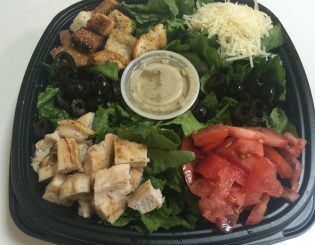 $8.50 – Romaine, grilled chicken, parmesan, black olives, tomatoes and croutons. Suggested dressing: Creamy Caesar or sun-dried tomato vinaigrette. 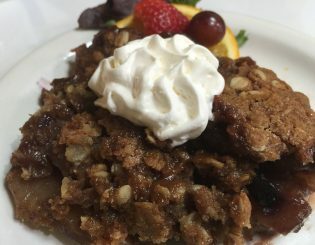 $7.00 – Warm apples and plump blueberries are covered in a crispy, buttery oatmeal topping! 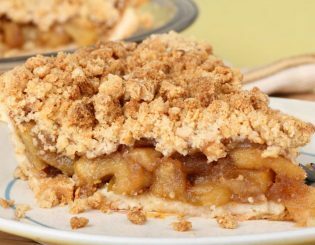 10″ apple pie with a crunchy streusel topping. Oven.